PEORIA, Ariz. — The Mariners continue to trim their spring training roster down to the 30 players that will make the trip with them to Japan. 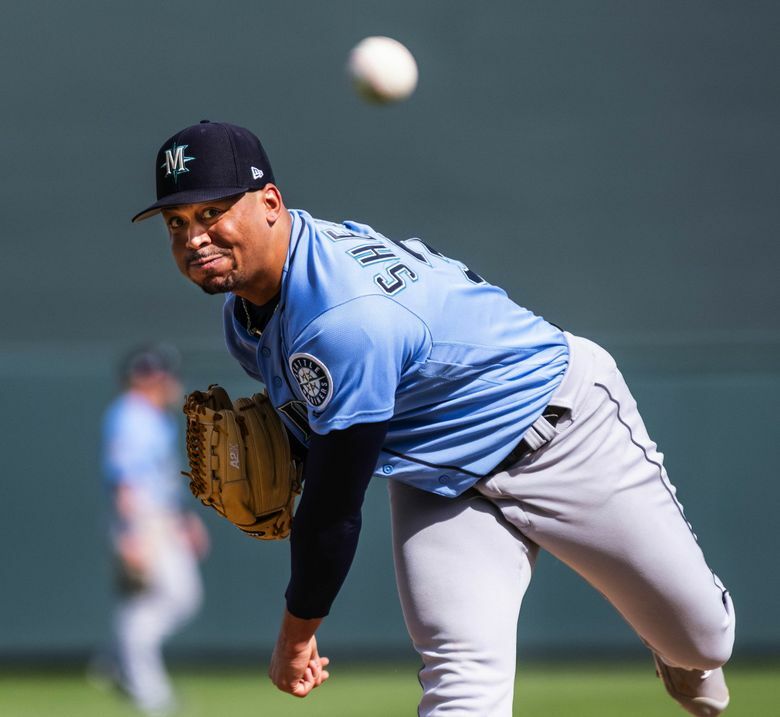 On Monday afternoon, manager Scott Servais and general manager Jerry Dipoto made another round of cuts from big league spring training, removing eight players. The group featured six of the Mariners’ top prospects. Seattle optioned left-hander pitcher Justus Sheffield, right-hander Erik Swanson and infielder Shed Long to Class AAA Tacoma. While the five players not on the 40-man roster — first baseman Evan White, outfielder Kyle Lewis, catcher Joe DeCarlo and right-handed pitchers Jorgan Cavanerio and Justin Dunn. Sheffield is rated as the Mariners’ No. 1 prospect by Baseball America and MLB Pipeline. He started in two Cactus League games and one “B” game, impressing the Mariners with an improved changeup and his fastball life and movement. The plan was always to start Sheffield at Tacoma. But his time there will largely depend on how well he pitches for the Rainiers and how well Felix Hernandez pitches in the big leagues. Sheffield is the logical replacement if Hernandez continues his downward trend in production. But the Mariners want Sheffield pitching well when they do make that transition. Swanson, who is rated No. 9 by MLB Pipeline and No. 12 Baseball America, will join Sheffield in the starting rotation, though the Mariners have envisioned him as a multi-inning reliever as well. They were both acquired from the Yankees in the trade that sent James Paxton to New York. Long is rated the Mariners No. 9 prospect in Baseball America and No. 12 for MLB pipeline. He had a hot start to spring and impressed manager Scott Servais with the pop in his bat and approach at the plate. He’s expected to be the Mariners’ second baseman of the future. But the Mariners will also have him play third base and left field in Tacoma to get some positional versatility. White, Lewis, Dunn and DeCarlo are all expected to be sent to Class AA Arkansas. White, who is rated as the No. 4 prospect by both Baseball America and MLB Pipeline, had a solid spring despite dealing with a nagging hamstring issue. He added a fair amount of muscle to his frame this offseason and continued to show the improved ability to drive the ball in the air. He’s an elite defensive first baseman with speed on the bases. After a gruesome knee injury sidetracked his development for two seasons, Lewis is finally completely healthy. His potential was noticeable this spring. He had seven hits in 18 at-bats with two doubles and two homers. Once the top prospect in the organization, he’s now rated No. 7 by MLB Pipeline and No. 8 by Baseball America. Dunn was acquired as part of the big trade with the Mets and is rated as the M’s No. 3 prospect by MLB Pipeline and No. 6 by Baseball America. The Mariners stressed to him all spring to pitch with more of a power pitcher mentality. He showed glimpses of that.